Wisconsin is renowned for its rivers and lakes, its summer music festivals, its agricultural and dairy products (including beer and cheese), and its citizens’ warmth and friendliness. Additionally, the cost of living there is among the lowest in the nation, freeing up more money for all these leisure activities and more. Wisconsin’s educational system is also deserving of renown. Of all states that use the ACT as their primary college-admissions test, Wisconsin has been the leader every year since 1995. Furthermore, teachers in the state are well rewarded with substantial benefits packages. However, the state isn’t looking for just anybody to teach, but for people who’ll commit to upholding the state’s high teaching standards. What’s the education climate in Wisconsin? How’s the job outlook for Wisconsin teachers? What benefits do Wisconsin teachers have? 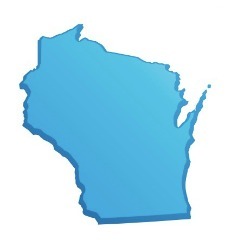 What are the credentialing requirements in Wisconsin? Everyone’s eyes—educators, legislators, unions, and parents—are focused on the implementation of the Wisconsin Framework for Educator Effectiveness. The program was issued in November of 2011 and is expected to be fully implemented in the 2014-2015 school year. In the time in between, the framework is being reviewed, tested, and amended; after which it will be partially implemented in a pilot program, and then amended even further. Thus, the final framework will be responsive to educators’ input and corrected in response to discoveries and feedback made throughout the process. The end results of this process will establish significant changes to the state’s education system, continue to drive changing educator practices, and promote student learning. One of the main areas targeted by the framework is performance evaluations of teachers and principals, and how that feedback will be used to promote change and growth in the education system. It seeks to establish how to measure and document evidence of student learning and effective educator practices, so that evaluations will be standard, fair, and productive. Feedback obtained from these evaluations will then be used to improve teacher preparation programs and ongoing professional development. Just as effective teachers give their students rubrics, so students know what they’re expected to learn and what they’ll be graded on, so also will teachers receive rubrics for their own evaluations. These rubrics will be based on the Interstate Teacher Assessment and Support Consortium (InTASC) standards, and introduced to teachers as part of their training; thus, every educator will know exactly what is expected of him or her. All evaluations will be based upon multiple observations and sources of evidence, so that no teacher can be unfairly evaluated based upon one “off-day” performance. Exactly half of teacher and principal evaluations will be based upon documented student learning. Evidence of student learning will come from multiple sources—not just standardized tests—and will also take historical student achievement into account. Moreover, a major component of this evidence will come from Student Learning Objectives (SLOs) established by the teachers themselves —meaning that the teachers have a hand in framing their own evaluations and expectations. The timeline for implementation of the framework, and more specific details about its components, can be found at the Wisconsin Department of Public Instruction website. Job opportunities for future teachers in Wisconsin look good, particularly for those looking to teach elementary-school students. With a projected 870 new elementary education jobs annually, elementary-school teaching is the third-most in-demand job in the state, according to Wisconsin’s Department of Workforce Development. Among high-school educators, mathematics and sciences are the highest-demand positions. Wisconsin also reports statewide teacher shortages in the areas of career and technology education, special education, English as a Second Language, and bilingual education. Wisconsin teachers work a little less than 190 days out of the year, with 15 weeks of vacation and holidays off. Benefits packages include health, dental, and vision coverage, as well as disability and life insurance; the total value of these plans is roughly 20 percent greater than the national average. Additionally, the Wisconsin Retirement System (WRS) is also superior to the majority of retirement plans offered in the private sector. For example, a Wisconsin teacher making $53,000 annually can expect the same level of retirement income as a private sector employee earning upwards of $80,000 a year. The retirement benefit comes in two parts: a pension calculated from highest salary and years of teaching experience; and a money purchase benefit, based upon teacher contributions and investment earnings. Teachers may retire with a full pension benefit at the age of 65, or at 57 with 30 years teaching experience. Teachers may also retire as early as 55, with a slightly reduced pension amount. In fact, most career teachers in Wisconsin retire between the ages of 55 and 57. Calculating the total value of retirement and health benefits, Wisconsin earn an additional 74 percent above their salaries; in contrast, the average value of these benefits in the private sector is only 24 percent of salary. As of 2012, Wisconsin teachers pay union fees only when they request union membership—in contrast to most other states, where teachers are required to join the teachers’ union that handles collective bargaining in their school district. However, Wisconsin teachers do have access to multiple outside support systems in their work and professional development. Several organizations in Wisconsin (see below) are devoted to teacher development, and to providing educational resources to Wisconsin teachers—including substitute teachers. These organizations often publish and discuss research on teaching programs and techniques, and often offer classroom activities or curriculum supplements to improve teacher performance. In order to be licensed to teach in Wisconsin, applicants must have completed an approved teacher preparation program at a bachelor’s level or higher, including a period of supervised student teaching. During this program, prospective teachers must select a license area focus, such as early childhood, middle childhood through early adolescence, or early adolescence through adolescence. Upon completing their programs, prospective teachers must pass both the Praxis I examination (testing skills in reading, writing, and mathematic), and the Praxis II examination appropriate to their focus area. The first license for Wisconsin teachers is the Initial Educator License, valid for five years. A teacher may advance to a Professional Educator License after teaching for three years and completing a professional development plan. From this level, a teacher may advance to a Master Educator License, by either obtaining National Board Certification or completing the Wisconsin Master Educator Assessment Process. Additional details and information can be found at the Wisconsin teaching certification website.